Listen LIVE Wednesdays 7:30-8:30 p.m.
A Yiddish-language radio show serving Boston's Yiddish-speaking community. Theme Song: DEM HELFANDS TANTS from Jeff Warschauer: The Singing Waltz. ‏אַ כּשרן און פֿרײלעכן פּסח ‏! 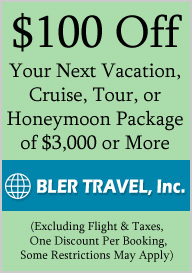 BLER Travel: Full Service Travel Agency, Specialists in Israel/International! Sponsors: Generous support has been provided by the following organizations: Cheryl Ann's Of Brookline, The Butcherie, Israel Book Shop, BLER Travel, BBJCF (Brookline-Brighton Jewish Community Fund) of CJP, the League for Yiddish, Inc., TheWorld.com, and Cafe Eilat, Marquis Jewelers. To advertise on The Yiddish Voice, call +1-617-730-8484. Digital Yiddish Theatre Project (Facebook), a research consortium dedicated to the application of digital humanities tools and methods to the study of Yiddish theatre and drama. Founded in 2012. In October 2017, they published online volume 7 of Zalmen Zylbercweig's Leksikon fun Yidishn Teater (Encyclopedia of the Yiddish Theatre), derived from previously unpublished galleys. Many more Yiddish links below! Rukhl Schaechter, editor of the Yiddish Forward (Forverts), speaks with regular cohost Sholem Beinfeld about the latest developments at the newspaper, including the plan to go digital-only and discontinue the printed version begun in 1897. Michael Wex, renowned author and humorist, joins regular cohosts Leah Leavitt, Sholem Beinfeld, and Mark David for a semi-serious discussion about Jewish humor and Purim. Shloyme Birnbaum's book with intro by Kalman Weiser: Yiddish: A Survey and a Grammar, 2nd Ed. On Wednesday Feb 6 2019 at 7:30 PM the Yiddish Voice will feature an interview, in Yiddish, with Kalman Weiser, discussing the late Yiddish language scholars Solomon (Shloyme) Birnbaum and Noyekh Prilutski. 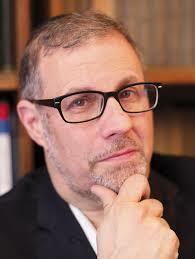 Professor Keith (Kalman) Weiser is the Silber Family Professor of Modern Jewish Studies at York University, Toronto. His research focuses in the area of modern Jewish history and culture, specifically about language issues in Jewish life. His publications include Jewish People, Yiddish Nation: Noah Prylucki and the Folkists in Poland (University of Toronto Press, 2011) and the introduction to the second edition of Shloyme Birnbaum's Yiddish: A Survey and a Grammar (University of Toronto Press, 2016). The Boston Yiddish-language radio show The Yiddish Voice will broadcast a program in memory of Rabbi Myer Loketch, following shloyshim, thirty days of mourning, on Wednesday, December 19, 2018, at 7:30 pm on WUNR 1600 AM in Boston. Loketch was a frequent and beloved guest speaker on the Yiddish Voice during the 2000's. His presentations on the Halochos and Minhogim of various Jewish holidays continue to be re-aired and enjoyed by listeners to this day. The program will include memorial tributes by Loketch's son Rabbi Dov Loketch of Detroit and Rabbi Shayke Lerner of Chabbad Center of Brookline as well highlights of Myer Loketch's radio presentations. די באָסטאָנער ראַדיאָ-פּראָגראַם דאָס ייִדישע קול װעט טראַנסמיטירן אַן אוידיציע אין אָנדענק פֿון רבֿ מאיר לאָקעטש ז״ל, נאָך זײַנע שלושים, מיטװאָך דעם 19טן דעצעמבער 2018, 7:30 אין אָװנט אױף WUNR 1600-AM אין באָסטאָן. ר׳ מאיר איז אָפֿט מאָל אויפֿגעטראָטן ווי אַ באַליבטער גאַסט בײַם ייִדישן קול אין די 2000ער יאָרן. זײַנע לעקציעס וועגן הלכות און מינהגים פֿון פֿאַרשיידענע ייִדישע יום-טובֿים גיט מען איבער עד היום אויף דער ראַדיאָ, אַז די צוהערער קענען ווײַטער הערן און הנאה האָבן דערפֿון. אין דער פּראָגראַם צו די שלושים וועט אים מספּד זײַן זײַן זון רבֿ דאבֿ-בער לאָקעטש פֿון דעטרויט, אים צו לאַנגע יאָר, און רבֿ שײַקע לערנער פֿון חב״ד-צענטער פֿון ברוקלײַן. מע וועט אויך איבערגעבן הויכפּונקטן פֿון זײַנע רעקאָרדירונגען וואָס מען האָט פֿריִער געהערט אױף דער פּראָגראָם דאָס ייִדישע קול. 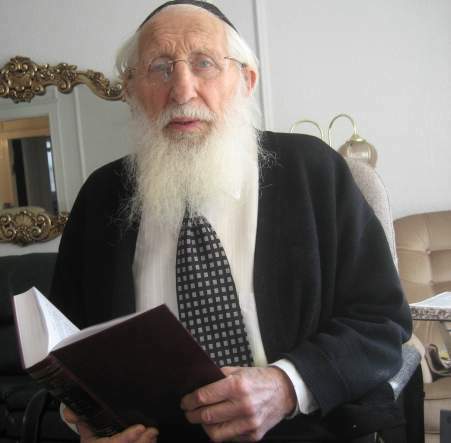 Rabbi Myer Loketch was born in Warsaw in 1922 and lived there until the German invasion in 1939. He narrowly escaped to Russia during the war, and was initially imprisoned in Siberia but later released to serve in a Polish military unit that helped to liberate Warsaw. Having lost his entire family during the war, he settled in Lodz, where he married Itta (Irene) Lessman. Their young family emigrated to Boston in 1952, where Reb Myer served for decades as a highly esteemed clergy member at various shuls, notably, the Blue Hill Avenue shul in Roxbury and the Young Israel of Brookline. He taught and otherwise served countless individuals and was widely renowned as an excellent Baal Korei and Baal Tfila. He retired and moved to Detroit in 2009. He died in Detroit on November 12 2018, survived by his wife Irene, five children, and numerous grandchildren and great-grandchildren. On Wednesday August 8 2018 at 7:30 PM, the Yiddish Voice will feature an interview, in Yiddish, with Anna Shternshis, Associate Professor of Yiddish Studies at University of Toronto. The interview is presented in memory of 12 August 1952, when thirteen Jews were executed in Lubyanka Prison in Moscow, five of them Yiddish writers Peretz Markish, Dovid Hofstein, Itzik Feffer, Leib Kvitko, and Dovid Bergelson. Dr. Shternshis was executive producer of the recently released CD Yiddish Glory: The Lost Songs of World War II, based on her research on Moisei Beregovsky's archive, which the Soviet authorities confiscated in 1947, arresting Beregovsky a short time later. The Yiddish Glory CD contains songs written in Yiddish by Jews in the Soviet Union during World War II. 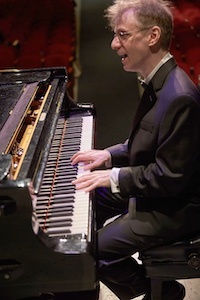 The CD's songs have music thoughtfully composed by Shternshis's collaborator Psoy Korolenko. There is a large ensemble of talented musicians and singers on the CD as well as high quality English and Russian translations. Dr. Shternsis and Psoy Korolenko have recently toured extensively in the past year in support of the CD, bringing these once-lost songs to an ever widening audience. 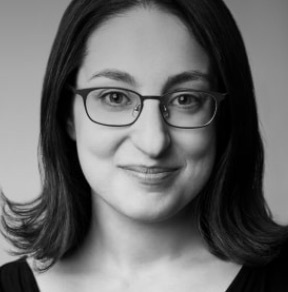 Debra Caplan is Assistant Professor of Theatre at Baruch College in Manhattan, where she specializes in Yiddish theater and drama, among other areas. Professor Caplan is a co-founder and co-chair of the Digital Yiddish Theater Project, a web resource on the history of the Yiddish stage (yiddishstage.org). Before joining Baruch College, Caplan earned her PhD at Harvard under Professor Ruth Wisse in 2013, where her research on the Yiddish theater generally and on the Vilna Troupe in particular would provide a strong base for her later book. During this period Yiddish Voice listeners fondly recall her presence in the Boston community, during which she taught and lectured on Yiddish, Yiddish Theater, and related topics in various academic and social contexts, performed music and theatrical works, and produced and directed theater. She appeared on the Yiddish Voice in 2009 to discuss her then major project, co-directing and producing, somewhat miraculously, a revival of Goldfaden's Yiddish operetta Shulamis at Harvard's Agassiz Theater, with dialogue in English translation by Nahma Sandrow, with all songs performed in their original Yiddish. This Wednesday's broadcast of The Yiddish Voice (WUNR 1600-AM, Boston), June 20, 2018, at 7:30 PM (EDT), will observe the Yahrtzeit -- the one-year anniversary of the death -- of Iosif Lakhman, the late beloved co-host of the Yiddish Voice radio program, who passed away on June 6, 2017, at the age of 96, with a special re-airing of last year's special "Shloyshim" memorial program. Participants included Misha Khazin, Dobe Ressler, Leah Leavitt, Dovid Braun, Sholem Beinfeld, and Mark David. Excerpts of an oral history interview with Lakhman, as well as highlights of several of his many radio appearances on the Yiddish Voice, were also presented. The Yiddish Voice presented a Shloyshim Memorial radio program in memory of its late co-host Iosif Lakhman on Wednesday, July 12, 2017 at 7:30 PM on WUNR 7:30 PM. The "Yiddish Voice" radio program in Boston is extremely saddened to announce that our beloved co-host, Iosif Lakhman, died this past Tuesday morning, June 6, 2017. Iosif Lakhman, known in Yiddish as Yosef, or often by his nickname Yoske, was born in the Ukrainian shtetl Dinevits in 1921. His father, who had been a Hebrew teacher before the Russian Revolution, later had to make his living on a collective farm. Iosif served in the Soviet Army during World War II, earning the distinction of being one of the liberators of the city of Daugavpils, Latvia, in July 1944. As a child, he loved Yiddish literature, poetry, and theater. In school, he was given the honor of reciting his own Yiddish poem in front of the great Soviet-Yiddish poet Itsik Feffer. He also once wrote to the great Soviet-Yiddish actor Shloyme Mikhoels, hoping to get involved with the state-sponsored Yiddish theater. Mikhoels answered him, inviting him to join. However, Iosif's father did not want this for his son, and tore the letter up. After the war, Iosif earned his PhD in economics and had a successful career as an economist in Moscow. When the Stalinist repression of Yiddish language and letters began to loosen in the early 1960's, he participated actively in publications and events, contributing occasionally to Sovetish Heymland, the principal Yiddish literary journal of the Soviet Union. By the early 1990's Iosif had left Russia and settled in Boston. He attended Bunker Hill Community College, studying English and other subjects. He began a long association of collaboration with his friend, the writer Misha Khazin. They frequently contributed, both together and individually, to various Russian, Yiddish, and English-language publications, most often on matters of Jewish life, politics, and literature. 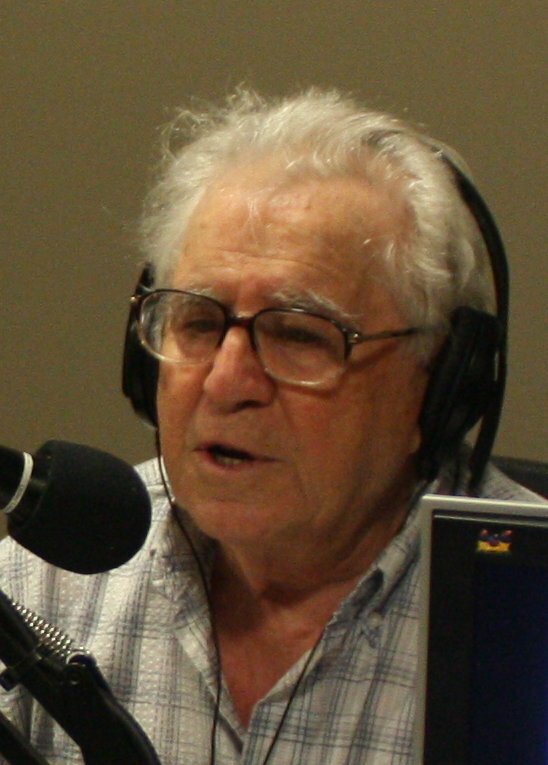 Iosif began serving as co-host of the "Yiddish Voice" in 2004. For several years, he regularly joined host Mark David, as well as guests, for live Yiddish readings, presentations, and interviews in the studios of WUNR 1600-AM in Boston. In recent years, despite limitations due to health issues and advancing age, he remained actively involved with the radio show until practically his last days. Besides the Yiddish Voice, Iosif was also quite active in other Yiddish language and culture activities in Boston, serving for years as Yiddish teacher at the Workmen's Circle in Brookline and as a member of the Yiddish Committee of the Boston Workmen's Circle. 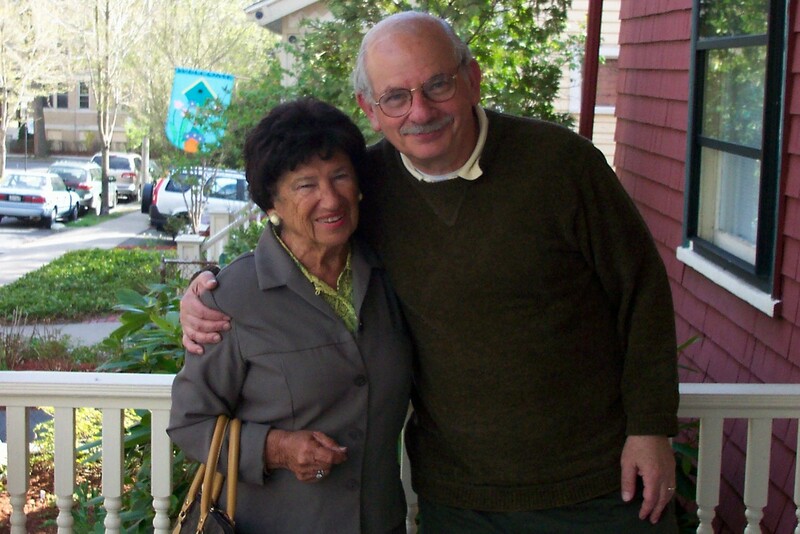 Over years he mentored and collaborated with many much younger and quite serious Yiddish activists in Boston, notably the Klezmer/Yiddish musician Dena (Dobe) Ressler and the Yiddish translator and teacher Lillian (Leye) Shporer-Leavitt. Iosif is survived by his wife Ina Lakhman (Diakova), his daughter Zina Lamm, and his granddaughter Anna Lamm. The funeral is to be held on Sunday, June 11, at 12:30 PM at Stanetsky Memorial Chapel, 1668 Beacon Street, Brookline, MA 02445. A Shloyshim (memorial) program is planned for the Yiddish Voice and will be announced in the coming weeks. In Memory of a Friend -- in Russian -- obituary in online Russian newspaper "Мы здесь" ("We Are Here") written by Misha Khazin. An interview (in Yiddish) with writer Miriam Hoffman will be heard on Boston radio's The Yiddish Voice on WUNR 1600-AM Wednesday May 16 2018 at 7:30 PM (Eastern). In the interview Hoffman discusses her recently published memoir A Breed Apart: Reflections of a Young Refugee (Yiddishkayt Press, 2017). The interview, like the book, follows her fascinating life, from childhood in Sibera and Germany through adulthood in New York, raising a family in Yiddishist society in New York and finding success as a columnist and feature writer for the Yiddish Forward Newspaper (Forverts), as a Yiddish educator at Columbia University, and as a playwright, including cofounding the Joseph Papp Yiddish Theatre. On Wednesday May 2 2018 at 7:30 PM the Yiddish Voice will feature an interview, in Yiddish, with Dr. David E. Fishman, author of The Book Smugglers: Partisans, Poets, and the Race to Save Jewish Treasures from the Nazis (ForeEdge, 2017), winner of the National Jewish Book Award in 2017 for a work on the Holocaust. 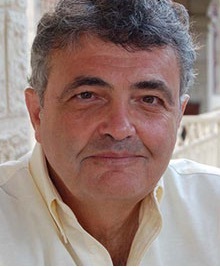 David E. Fishman is professor of Jewish history at the Jewish Theological Seminary of New York. Dr. Fishman is the author of numerous books and articles on the history and culture of East European Jewry. Previous monographs include Russia's First Modern Jews (New York University Press, 1996) and The Rise of Modern Yiddish Culture (University of Pittsburgh Press, 2005). Dr. Fishman is the coeditor (with Burton Visotzky) of From Mesopotamia to Modernity: Ten Introductions to Jewish History and Literature (Westview Press, 1999), and edited a volume of Rabbi Joseph B. Soloveitchik's Yiddish writings, Droshes un ksovim (Ktav, 2009). The historian Samuel Kassow will be the featured guest on the Yiddish Voice on April 25 2018 at 7:30 PM discussing his book Who Will Write Our History. The book tells the story of Emanuel Ringelblum and his team of historians who conspired to save a chronicle of life in the Warsaw Ghetto. Ringelblum and his fellow historians were nearly all murdered -- only three survived. Much of their archive was later recovered, and large amounts have been preserved, restored, and transcriptions and translations created from original Yiddish and Polish text sources. Kassow's book gives the reader an appreciation for the human side of the project to create the "Oyneg Shabes Archive", as these ill-fated conspirators code-named it. A new film based on Kassow's book with the same name, by director/producer Roberta Grossman and executive producer Nancy Spielberg, has recently been shown in pre-release versions in Los Angeles and Warsaw, Poland, and is expected to be released sometime in 2018. See the web site whowillwriteourhistory.com for information about the film. SAMUEL KASSOW is the Charles H. Northam Professor of History at Trinity College, and is recognized as one of the world's leading scholars on the Holocaust and the Jews of Poland. Kassow was born in 1946 in a DP-camp in Stuttgart, Germany and grew up speaking Yiddish. Kassow attended the London School of Economics and Princeton University where he earned a PhD in 1976 with a study about students and professors in Tsarist Russia. He is widely known for his 2007 book Who Will Write Our History? Emanuel Ringelblum, the Warsaw Ghetto, and the Oyneg Shabes Archive (Indiana University Press). Wednesday's broadcast of The Yiddish Voice (WUNR 1600-AM, Boston), Apr 11, 2018, at 7:30 PM, will feature an interview (in Yiddish) with be focus on the Warsaw Ghetto Uprising of April 1943, 75 years ago. Interview with Marek Edelman, who was the last commander of the Warsaw Ghetto Uprising to have lived, from 1996 is re-aired. Sholem Beinfeld, a regular contributor to the Yiddish Voice, co-Editor in Chief of the Comprehensive Yiddish-English Dictionary, and Professor of History, Emeritus, Washington University, St. Louis, discusses the Warsaw Ghetto Uprising generally as well as certain historical controversies. Leon Weinstein and Natalie Gold: a Jewish father who fought in the Warsaw Ghetto Uprising of '43 and Warsaw Uprising of '44 recalls reuniting with his infant daughter, who'd been hidden in a convent, after the war. At the time of the interview, in 1913, he was 100 years old, and he's since passed away. His daughter, Natalie Gold, works as a psychologist and is active in the survivor and Jewish community in Los Angeles. Wednesday's broadcast of The Yiddish Voice (WUNR 1600-AM, Boston), March 28, 2018, at 7:30 PM, will feature an interview (in Yiddish) with Rav Itzchak Kin of Los Angeles. Originally from Israel, Rabbi Kin talks about the holiday Pesach, and shares a nign from the vast musical repertoire Modzitzer Chassidim. Wednesday's broadcast of The Yiddish Voice (WUNR 1600-AM, Boston), March 7, 2018, at 7:30 PM, will feature an interview (in Yiddish) with Cecille Kuznitz, Assistant Professor of Jewish History and Director of Jewish Studies at Bard College. This Wednesday's broadcast of The Yiddish Voice (WUNR 1600-AM, Boston), Feb 7, 2018, at 7:30 PM, will feature an interview (in Yiddish) with Zvi Gitelman, Professor of Political Science and Professor of Judaic Studies at the University of Michigan. Zvi Gitelman studies ethnicity and politics, especially in former Communist countries, as well as Israeli politics, East European politics, and Jewish political thought and behavior. 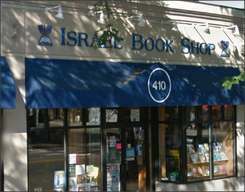 His most recent edited book is The New Jewish Diaspora: Russian-speaking Immigrants in the United States, Israel and Germany (Rutgers University Press, 2016). The interview covers a range of topics, including the Soviet regime and the Holocaust; the role of Yiddish in various Soviet eras; and the situation of Russian Jews today, both in Russia and in other countries such as Israel, Germany, and the United States. The Yiddish Voice tonight features a program in memory of Hasia Segal, the show's co-founder and co-host, a talented writer, interviewer, and presenter, whose first yahrtzeit falls this year on Saturday, Jan. 6, 2018. The show will feature words in memory of Hasia, some new and some from last year's Shloyshim memorial program, as well as archival recordings that include excerpts of Hasia's previously broadcast recordings. The Yiddish Voice presented a Shloyshim Memorial radio program in memory of its late co-host Hasia Segal on Wednesday, Feb. 15, 2017 at 7:30 PM on WUNR 7:30 PM. 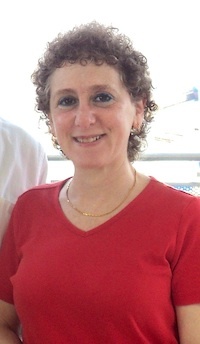 Photo: Hasia Segal in South Florida in February 2009. We are extremely saddened to announce that Hasia Segal died this past Monday night, January 16, 2017. 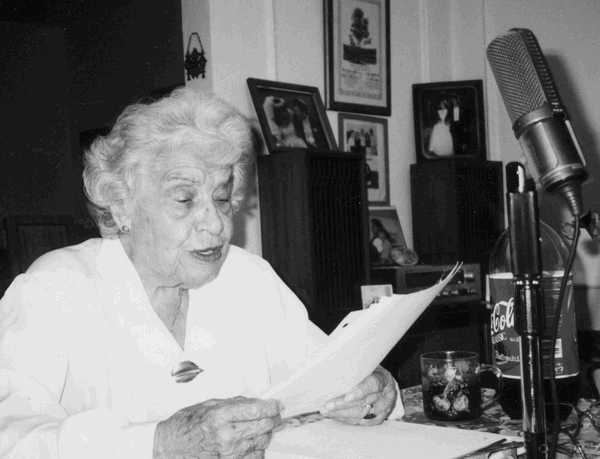 Hasia was a co-founder of the Yiddish-language radio show "The Yiddish Voice" (WUNR-1600AM, from 1994 to the present) and its predecessor "The Yiddish Hour" (WBRS-100.1FM, years 1990-1994). Hasia (whose name you'll also find spelled Chasia, Chassia, or Khasye, and in English as Harriet), was the only child of Fayve (Shrage-Fayve) and Sheyne (Sheyne-Yente) Chernis. She was born in 1913 and was raised in Ponyevezh (Lithuanian: Panevezys), Lithuania, where she graduated the Tarbut Hebrew-language elementary school and Gimnasia Ivrit (Hebrew-language private high school). She then studied biology at the university of Kovne (Lithuanian: Kaunas; Russian: Kovno). 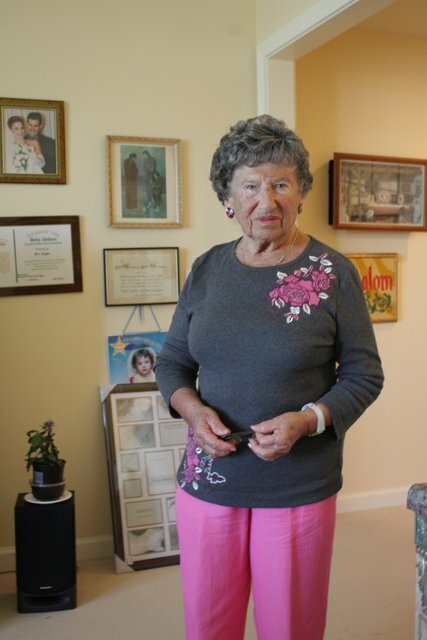 In April of 1939, she, her late husband Elye (Eli) Segal of Vilkomir (now: Ukmerge, Lithuania), their infant daughter Ruth, and her parents moved to the United States, joining family that had clustered earlier in Greater Boston. A second daughter, Esther, was born within a few years. 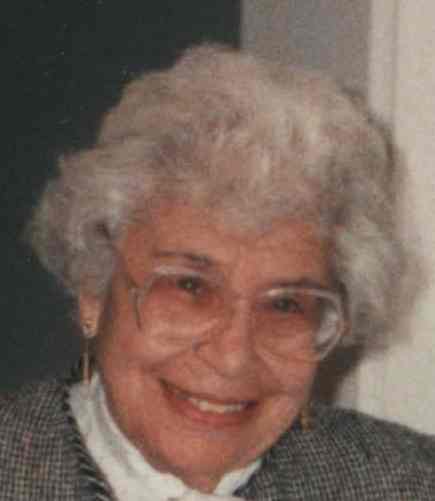 Hasia taught Yiddish at the Workmen's Circle school in Dorchester and worked as a Hebrew school teacher at Temple Emeth in Chestnut Hill (Brookline) for 35 years until her retirement. Throughout her years in Boston, she was a leading participant in local Yiddish radio and in Yiddish cultural organizations, in women's and general Zionist groups, and in Jewish and Hebrew education as a professional and as a continuing student herself at Boston Hebrew College. She was a celebrated performer at public events, including PBS's shows "Taste of Passover" and "Taste of Hanukkah," both alongside Theodore Bikel and recorded at the New England Conservatory. She graced the Greater Boston Area and Hyannis (Cape Cod) whenever gatherings of Yiddish and Hebrew speakers took place. And she provided selfless mentorship to younger people researching Yiddish civilization: the language, its arts and its folkways. She moved a few years ago to West Palm Beach where she continued to teach and entertain in retirement communities. Her endless knowledge, prodigious memory, and radiant personality dazzled all with whom she came into contact -- and her sense of humor knocked most people to the floor. Hasia's funeral will take place on Sunday, January 22, at 10:00 AM at graveside at the Chevra Shas Cemetery off Baker Street in West Roxbury (address: 776 Baker St, Boston, MA 02132). A Shloyshim memorial program on the Yiddish Voice is planned for Wednesday, Feb. 15, 2017. To give online, go to www.leagueforyiddish.org, click the "DONATE NOW!" link, and fill out the form specifying the donation as supporting Yiddish Voice Radio in memory of Hasia Segal. 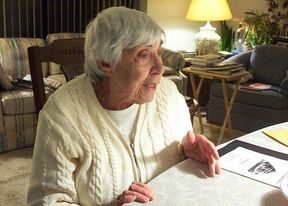 Photo: Hasia Segal in her apartment in West Palm Beach, FL, in 2011. The NCJF (National Center for Jewish Film) keeps track of worldwide Screenings of Yiddish Films (well, at least many of them are in Yiddish). Yiddish Events Kalendar, hosted by Der Bay, including an excellent Northeast Yiddish Events Calendar. Note: all interviews and songs here are in Yiddish unless otherwise noted. Interview with Szulim Rozenberg originally aired Weds., 28 August 2002: Dovid Braun talks with Szulim Rozenberg of the Medem Bibliotek (Paris), discussing among other things the forthcoming (Oct. '02) publication his wife's memoir: Girl With Two Landscapes: The Wartime Diary of Lena Jedwab, 1941 to 1945, an English translation from the original Yiddish. interview with Misha Alexandrovitch Z"L: upon receiving the sad news of the great cantor's death on July 3, 2002, in Munich at age 88, we posted this interview. It was conducted by Hasia Segal for The Yiddish Voice May 9, 1995, a few days before Alexandrovitch's arrival in Boston for a concert at the John Hancock Center, May 15, 1995. The interview was first aired on The Yiddish Voice in May 1995. Listen as Aaron Lebedeff sings his comedic ode to the American-Jewish immigrant experience in "vat ken yu makh?! es iz amerike" ("What can you do?! It's America", Vocalion recording A 67140). Droshe (sermon) by the late Lubavitcher Rebbe: Motsey Shabbos Koydesh Zoys Chanuka 5746, Rabbi Menachem Mendel Schneerson on the 8th night of Hanukkah, 1985 (Jewish Year 5746 ‏מוצאי שבת קודש, זאת חנוכּה תּשמ"ו ‏). Steven Lasky's 'Yiddish Radio Hour' with your esteemed hosts Zalmen & Celia Zylbercweig, providing a history of the couple's 1950's-1960's-era, Los Angeles-based, daily Yiddish radio show, featuring a continually rotating "new" show from the show's reel-to-reel tape archive. The Yiddish Book Center Multimedia Library has a treasure trove of recordings, including the newly released and curated audio recordings from Montreal's Jewish Public Library. The Yiddish Radio Project, David Isay and Henry Sapoznik, Producers, is on the net, and Features a real audio shmorgasbord of American Jewish/Yiddish radio from its golden age. Visit The Daily Sicho (http://www.sichos.com/) to hear the Daily Yiddish Sichos of the Lubavitscher Rebbe. Stories read by Sara Blacher-Retter, presented by Di Velt Fun Yidish at Haifa University. Please see the Yiddish Voice Podcast Episodes Website for more recent rundowns and recordings! Apr. 15, 2015: Nathan Kasdan Interview Holocaust survivor Nathan Kasdan (Nokhem Kazshdan/נחום קאַזשדאַן) from the shtetl Glubok (100 mi ENE of Vilna) describes his experiences. Aug. 20, 2014: Yiddish Voice 20th Anniversary Live Show: to celebrate 20 years of the Yiddish Voice we performed our show live in front of a Yiddish-speaking audience, namely, the attendees of the 2014 "Yidish-Vokh" at the Pearlstone Center in Reisterstown, MD. Nov. 6, 2013: Chana Mlotek z"l: replay of her June 6, 2013, interview with the Yiddish Voice, two days after her passing, Nov. 4, 2013. Gebentsht zol zayn ir ondenk! 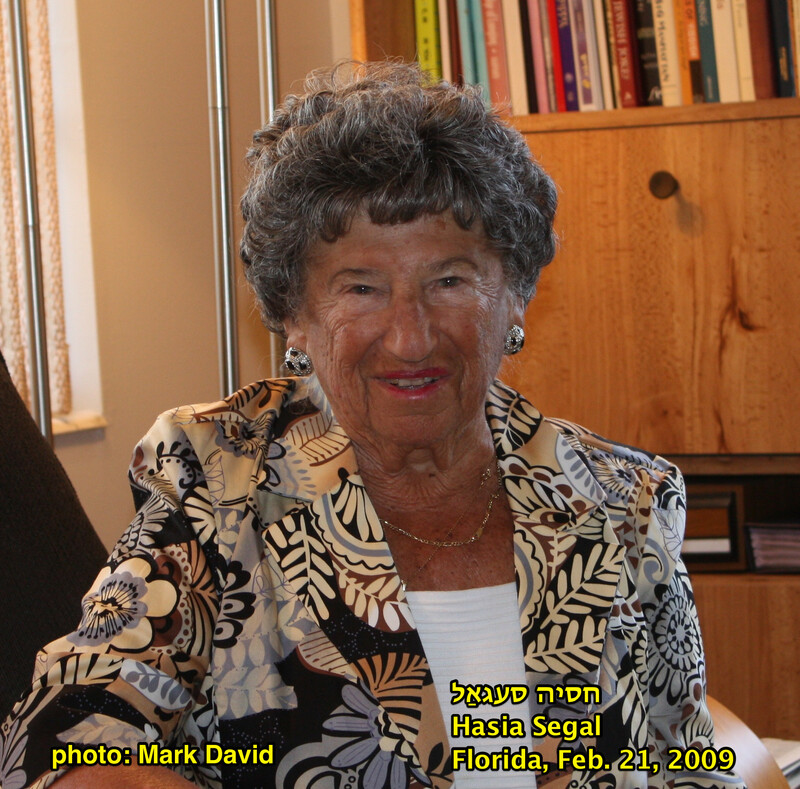 Aug. 21, 2013: Happy 100th Birthday Hasia Segal! / Mazl Tov Tsu Ayer 100tn Geborntog, Khasye Segal! Our cohost Hasia Segal (a/k/a Chasia, Khasye, Harriet) is turning 100 years old this summer 2013. We wish her a hearty Mazl Tov and many more productive years biz hundert un tsvantsik! On our Wednesday, Aug. 21, 2013, program, the Yiddish Voice honored Hasia Segal with many salutes from friends and admirers from far and wide. 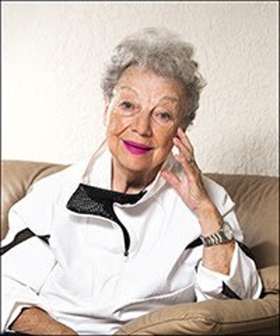 June 26, 2013: Excerpts of an interview with Handa Stark, Holocaust survivor originally from Vynohradiv in the Carpathians (known in Yiddish as סײלעש (Seylesh), and by many other names in many languages), in which she recounts her and her family's narrow escape from the mass killings of Jews at Kamenets-Podolsk in 1941, along with the Munkacser Rebbe Boruch Rabinowicz. In the last five minutes or so of the interview, Handa talks a bit about her recent life in Los Angeles, especially about the organization she and her late husband led for many years, Shelters for Israel, a charity organization that provides housing and shelter for needy citizens of Israel. June 5, 2013: A shmues on air, live, with two of the New York Jewish Week '36 under 36' for 2013: Naftuli Ejdelman and Reyne Schaecter. May 8, 2013: Michael Wex: Campaign to Translate Joseph Opatoshu's Book In Poylishe Velder Through Crowdsourcing. May 1, 2013: Dr. Sheva Zucker discusses Ellen Cassedy's Book "We Are Here: Memories of the Lithuanian Holocaust"
Apr. 17, 2013: Boston Marathon Tragedy - interview with Boston Marathon bombing eye witness, Rabbi Yossi Zaklos, who was within a block of both bombs, and took part in helping in the aftermath; also, weekly vort by Rabbi Shmuel Posner focuses on the Boston Marathon Tragedy. Also, we replay Itzik Gottesman's interview about the new Yiddish Forward (online and in print). Mar. 20, 2013: Pesach Program! Many Special Participants! Dec. 19, 2012: Solon Beinfeld and Harry Bochner: New Yiddish Dictionary. See complete details at the new Verterbukh Website! Nov. 6, 2012: More Hurricane Sandy Interviews: we spoke with Sam (Shmuel) Norich, publisher of the Yiddish and English Forward about Hurricane Sandy's impact on the Forward offices, staff, and newspaper production, and with Shmuli Furman, a representative of the Boro Park Shomrim about their relief efforts for residents of Seagate. Oct. 31, 2012: Hurricane Sandy Interviews: we spoke with Shoshke-Rayzl Juni, Yiddish language activist and enthusiast as well as a resident of Greenwich Village, about living through Hurricane Sandy and its aftermath without power, and with Avrohom Friedman, publisher of Yiddish-language newspaper Di Zeitung, about what happened during Sandy and the current status in the Charedi communities around New York City and about his successful struggle to come out with the newspaper amid post-Sandy difficulties. At the end of the show, we heard a tribute by Iosif Lakhman to his friend and collaborator, the writer Misha Khazin. October 24, 2012: Interview with Marc Caplan, author of How Strange the Change: Language, Temporality, and Narrative Form in Peripheral Modernisms . Caplan is a professor of Yiddish language, literature, and culture at Johns Hopkins University. He writes a regular column on popular culture for the journal "Afn Shvel". Oct. 17, 2012: Jordan Kutzik and Christa Whitney of the Yiddish Book Center. Christa Whitney is Director of the Wexler Oral History Project, which is producing a growing archive of recorded oral history interviews. More than 200 interviews have been produced so far with people of all ages and backgrounds with connections to Yiddish language and culture. Jordan Kutzik, a Yiddish Book Center Fellow, has overseen the digitization of the Jewish Public Library of Montreal's vast and unique collection of audio recordings of books and cultural programs in Yiddish. October 10, 2012: Professor Gabriel (Gabi) Weinreich: the son and brother, respectively, of the late Yiddish-language scholars Max and Uriel Weinreich, he was born in Vilna (then Poland, now Lithuania) in 1932 and emigrated at the start of the war to the USA, where he grew up in the rich Yiddish culture atmosphere surrounding the YIVO Institute, in which his family played a very central role. He became a physicist, and eventually became a Professor of Physics at the University of Michigan at Ann Arbor. Rather late in life he became a Christian and was even ordained as an Episcopal priest in 1986. He wrote about this process, as well as the rest of his life story, in his relatively recent autobiography, "Confessions of a Jewish Priest: From Secular Jewish War Refugee to Physicist and Episcopal Clergyman". In this third and final segment of the interview, Weinreich discusses his autobiography, including his becoming a Christian and its impact on him and others. The entire interview will be made available for download on the Yiddish Voice web site (yiddishvoice.com) at a later time. October 3, 2012: Yiddish Voice Interview: Rosalyn (Reyzl) Kirkel: In the interview Rosalyn discusses her early life. As a Jewish child born in Shavl (Siauliai, Lithuania) at the start of WWII, she survived by being adopted by non-Jews, reuiniting with her father only after the war. Today, Rosalyn is a lecturer, radio commentator, and professional story teller in Denver, CO.
Aug. 1, 2012: Amelia Glaser, associate professor of Russian and comparative literature at the University of California, San Diego, and director of Russian and Soviet Studies at UCSD, the author of Jews and Ukrainians (Northwestern U. Press, 2012), and the translator of Proletpen: America's Rebel-Yiddish Poets (U. of Wisconsin Press, 2005), which recently appeared in paperback. 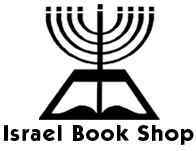 July 4, 2012: interview with Aaron Lansky, founder and president of the Yiddish Book Center. June 20, 2012: Interview with Daniel Ajzen, founder and head of SaveTheMusic.com, whose goal is to collect and digitalize Jewish music recordings, and also runs WebStation One, which manages several Yiddish-language-oriented websites. Listen to -- Yiddish Voice: June 20, 2012: Interview with Daniel Ajzen -- via MP3 (~28 MB). May 9, 2012: University of Michigan Yiddish Class and Prof. Anita Norich. Interview by fellow Yiddish class student Rebecca David. Listen to -- Yiddish Voice: May 9, 2012: Interview of University of Michigan Yiddish Class and Professor Anita Norich interviewed by Rebecca David -- via MP3 (~28 MB). May 2, 2012: Yom Hashoah Program: Remembering Nazi Concentration Camp Ebensee with Mark Jacoby and Morris Hollender. Listen to -- Yiddish Voice: May 2, 2012: Yom Hashoah Program: Remembering Nazi Concentration Camp Ebensee with Mark Jacoby and Morris Hollender -- via MP3 (~28 MB). Mar. 21, 2012: (1) In memory of Yacov Kirshner at Shloyshim: a Hesped jointly by Rev. Myer Loketch and his son Rabbi Dov Loketch; and (2) Interview with the Yiddish translator and teacher Dr. Anita (Khane-Faygl) Turtletaub about her new book and CD with original songs titled "Yiddish Songs for Children". Dr. Turtletaub lives in Chicago and teaches Yiddish at Northwestern University. To order or get more info, call Mame-Loshn Productions: (847) 675-3335. Feb. 29, 2012: Rev. Myer Loketch: Lekoved Purim; Morris Hollender Purim Kiddush (from his prewar Carpathian home, replay from 2011); Rosalie Gerut: an invitation to her concert this Tuesday, Mar. 6, 2012; and Libby Pollak: about "Chassidish Yiddish" on Facebook and her own Facebook page: Libby Pollak: Comedian, the forthcoming video she's producing, and her own Yiddish. Morris Hollender: Purim Kiddush, etc. Libby Pollak: Chassidish Yiddish, etc. Jan. 25, 2012: Shloyshim (memorial) program for of Adrienne (Khane) Cooper Z"L, featuring some of her music and interviews with several of her longtime friends and collaborators: Josh Waletzky, Meyshke Alpert, Michael Wex, and Zalmen Mlotek. Listen to -- Yiddish Voice: January 25, 2012: Adrienne (Khane) Cooper Shloyshim Memorial Program -- via MP3 (~28 MB). Jan. 11, 2012: Interview with Leah and Josef Weiner, a couple in Berlin, Germany (recorded Chol Hamoed Pesach, 2011). Listen to -- Yiddish Voice: January 11, 2012: Yiddish Voice Interview with Josef and Leah Weiner in Berlin -- via MP3 (~36 MB). Dec. 14, 2011: Hanukkah Program. Guests Morris Hollender (sings Haneiros Hololu), Dovid Braun (explains the spelling "KhANEKE", and the Yiddish and Hebrew words for Hanukkah Menora), and Chasia Segal (recalls Boston teaching days, news from West Palm Beach, greetings and opinions). Listen to -- Yiddish Voice: Dec. 14, 2011: Hanukkah Program: Hollender, Braun, Segal -- via MP3 (~28 MB). Aug. 24, 2011: Avrom Nowersztern: interview about Sholem Aleichem, and about the new film Sholem Aleichem: Laughing in the Darkness. Listen to -- Yiddish Voice: August 24, 2011: Yiddish Voice Interview with Avrom Nowersztern re Sholem Aleichem Film -- via MP3 (~10 MB). Aug. 10, 2011: Soviet Jewish Culture: Two Major Events: the blossoming of Jewish Culture at the time of the Russian Revolution, and the decimation of Jewish Culture culminating in the 12th of August, 1952. 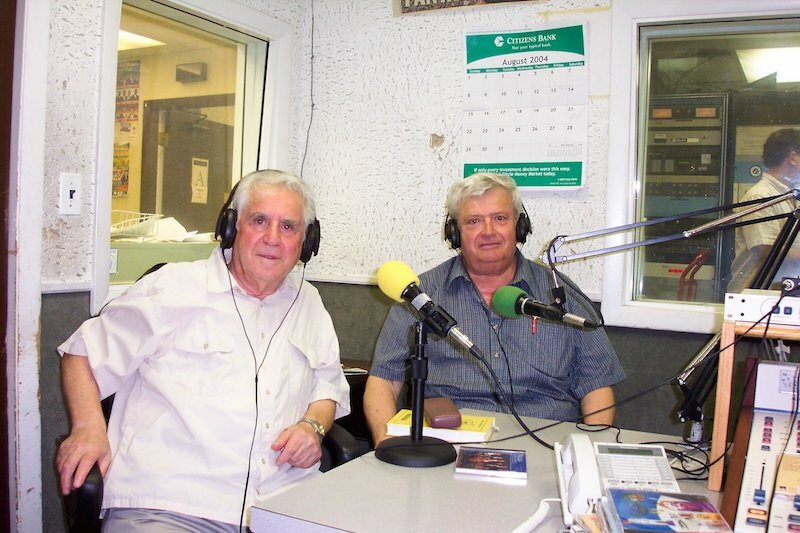 Listen to -- Yiddish Voice: August 10, 2011: Yiddish Voice with guests Iosif Lakhman and Benyomen Moss -- via MP3 (~20 MB). In response to the horrific murder of the young Chassidic Jewish boy Leiby Kletzky in Brooklyn, which took place last week and which has brought shock and trauma to his community and far beyond. Listen to -- Yiddish Voice: July 20, 2011: Yiddish Voice: Shayke Lerner -- via MP3 (~12 MB). Listen to -- Yiddish Voice: July 20, 2011: Yiddish Voice: Mordechai Gobioff -- via MP3 (~13 MB). Listen to -- Yiddish Voice: July 20, 2011: Yiddish Voice: Rukhl Schaechter -- via MP3 (~15 MB). Jun. 22, 2011: Interview with Naftuli Ejdelman about his upcoming Golus Festival. Listen to -- Yiddish Voice: Jun. 22, 2011: Yiddish Voice: Naftuli Ejedelman -- via MP3 (~5 MB). Mar. 30, 2011: Interview with Dovid Botwinik about his life and his musical career and about his new book "From Holocaust to Life: New Yiddish Songs" ("Fun Khurbn Tsum Lebn: Naye Yidishe Lider"). Listen to -- Yiddish Voice: Mar. 30, 2011: Yiddish Voice: Dovid Botwinik -- via MP3 (~19 MB). Feb. 9, 2011: Interview with Itzik Gottesman about the Yiddish music scene. Gottesman is producer of the Yiddish Song of the Week blog, associate editor of the Yiddish Forward, and editor of its Yidish-Velt column. Listen to -- Yiddish Voice: Feb. 9, 2011: Yiddish Voice: Itzik Gottesman -- via MP3 (~40 MB). Oct. 13, 2010: Interview with Fyvush Finkel (who's starring in Fyvush Finkel Live at the Foksbiene for three weeks starting Oct. 17, 2010). Listen to -- Yiddish Voice: Oct. 13, 2010: Yiddish Voice: Fyvush Finkel -- via MP3 (~50 MB). Aug 4, 2010: Interview with Zvi Griliches, President of the "Assistance for Lithuanian Jews" organization. July 21, 2010: Interview with historian Dovid Fishman about the recently published book 'Droshes un Ksovim', which Fishman edited and which contains the writings of Rabbi Joseph Soloveitchik. Apr. 21, 2010: Interview with Leon Gildin, author of The Polski Affair . Listen to -- Yiddish Voice: Apr. 21, 2010: Leon Gildin book: The Polski Affair -- via MP3 (~11 MB). Listen to -- Yiddish Voice: Apr. 7, 2010: Eva Fogelman -- via MP3 (~9 MB). Mar. 3, 2010: Program in memory of Avrom Sutzkever, the great poet and writer, who died Jan. 20, 2010. Listen to -- Yiddish Voice: Mar. 3, 2010: Yiddish Voice: In Memory of Avrom Sutzkever -- via MP3 (~26 MB). Listen to -- Yiddish Voice: Feb. 3, 2010: Yiddish Voice: Bob and Molly Freedman -- via MP3 (~10.5 MB). Dec. 2, 2009: Dobe-Leye Caplan, producer and codirector of Shulamis at Harvard, interviewed. Listen to -- Yiddish Voice: Dec. 2, 2009: Yiddish Voice: Dobe-Leye Caplan -- via MP3 (~4.5 MB). Nov. 11, 2009: Professor Zvi Gitelman interviewed. Listen to -- Yiddish Voice: Nov. 11, 2009: Yiddish Voice: Professor Zvi Gitelman -- via MP3 (~14 MB). Oct. 21, 2009: interview with Serious Man Yiddish actors Allen Lewis Rickman and Yelena Shmulenson. Listen to -- Yiddish Voice: Oct. 21, 2009: Yiddish Voice: Yelena Shmulenson and Allen Lewis Rickman from Serious Man -- via MP3 (~15 MB). September 23, 2009: Rabbi Simon Jacobson continues as the featured Yomim Noroim guest. September 16, 2009: Rabbi Simon Jacobson is our featured Yomim Noroim guest. Aug. 12, 2009: interview with Gennady Estraikh about his latest book, Yiddish and the Cold War. Listen to -- Yiddish Voice: Aug. 12, 2009: Yiddish Voice: Gennady Estraikh -- via MP3 (~15 MB). July 22, 2009: Program in Memory of Mordkhe Bauman, writer for the Algemeiner Journal, native of Poland, survivor of concentration camps, recent resident of Brookline. Listen to -- Yiddish Voice: Jul. 22, 2009: Yiddish Voice: Mordkhe Bauman Ondenk Program -- via MP3 (~15 MB). 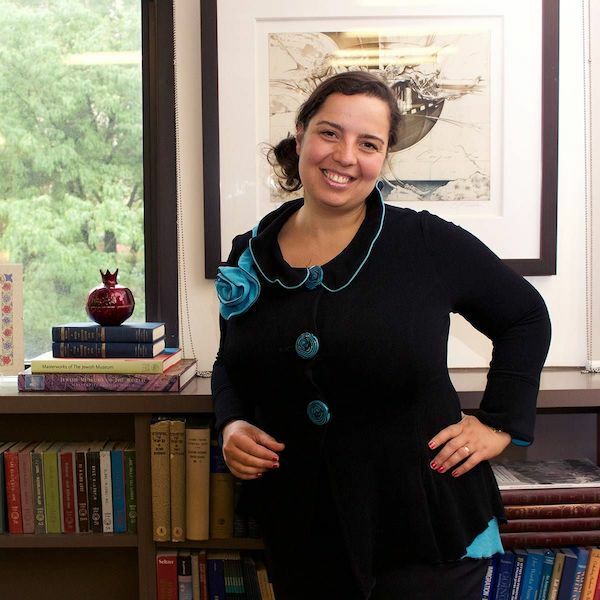 July 8, 2009: Asya Vaisman, Yiddish singer and songwriter as well as a PhD student at Harvard whose dissertation is on the Yiddish songs of Hasidic women. Mar. 25, 2009: Singer Theresa Tova; Iosif Lakhman: "MAYN SHOLEM ALEYKHEM"
Feb. 11, 2009: We remember Pesach Fiszman, beloved Yiddish teacher to literally thousands of students over many decades, who died January 16, 2009, at age 80. Miriam Hoffman spoke with host Mark David about her friend of forty years. Listen to -- Yiddish Voice: Feb. 11, 2009: Yiddish Voice Interview: Miriam Hoffman: Pesach Fiszman z"l -- via MP3 (~12 MB). Feb 4, 2009: Interview with Mike Burstyn. Mike talks about his one-man-play Lansky, a new play about Meyer Lansky & the Law of Return, opening Thursday, Feb. 5, 2009, at the St. Luke's Theatre. Jan. 14, 2009: The Bielski Brigade and Defiance (Movie). Opening this week, the Hollywood blockbuster film Defiance, starring Daniel Craig and Liev Schreiber, tells the story of the "Bielski Brigade", a partisan group in Belarus. Listen to -- Yiddish Voice: Jan. 14, 2009: Yiddish Voice Interviews: Bielsky Partisans: Sonya Oshman, Aaron Bell, and Anne Monka -- via MP3 (~29 MB). Dec. 31, 2008: Shloyshim (memorial) program in memory of Gertrude Brand. Listen to -- Yiddish Voice: Dec 3, 2008: Mumbai Tragedy -- via MP3 (~29 MB). Listen to -- Yiddish Voice: October 29, 2008: BU Conference for Elie Wiesel's 80th Birthday -- via MP3 (~27 MB). Jun. 18, 2008: interview with Motl Gordon. Listen to -- Yiddish Voice: June 18, 2008: including an interview with Motl Gordon -- via MP3 (~22 MB). Mar. 19, 2008: Purim program: highlights: World-premier broadcast of the reading of Betty Misheiker's long-form poem 'Der Feter Reb Zundl' by Reyzl Kirkel; greetings by Hasia Segal and Iosif Lakhman, and the telling of a joke lekoved purim by Yutsi Benes. Listen to -- Yiddish Voice: Mar. 19, 2008: Purim: Misheiker's 'Zundl', etc. -- via MP3 (~22 MB). Mar. 12, 2008: Rev. Myer Loketch of Young Israel and Rav Shayke Lerner of Chabad Center of Brookline present a Purim Program as special guests. In addition, recordings of Gita were heard, one from a speech at Yidish Vokh 2003, and one from an interview by Rebecca David, who'd done the interview in 2005 as a grade school student for a class project on European Jewish History, and in which Gita talks about her life before the war as a young student. Listen to -- Yiddish Voice: For Gita Werchol -- via MP3 (~27 MB). Feb. 6, 2008: Misha Khazin, interviewed by Iosif Lakhman, concerning his new book (in Russian) with essays and reminiscenses about Jewish life in Moldova. Our "Shloyshim" (Memorial) program in memory of Zelde-Leye Manuel (English name: Shirley), who passed away on August 31, 2007, was presented. Zelde-Leye was the mother of our friend and collaborator, and world-renowned authority on Yiddish, Dovid Braun. She herself was a well-known and beloved fixture on the Yiddish cultural scene around New York, in which she actively and enthusiastically took part during the past several decades. Listen to the main segment -- Yiddish Voice: For Zelde-Leye Manuel -- via MP3 (~18 MB). and, from our archive: a 1997 interview with (Boston) North Shore Baal Tefilla Avrom Cohen and a 1997 interview the late, great Yiddish linguist Dr. Mordkhe Schaechter (a"h) regarding Yidish far di Yomim Noroim. Listen to the main segment -- Yiddish Voice: Rosh Hashone 5768 -- via MP3 (~18 MB). 8 Aug. 2007 - a segment in memory of Percy (Peretz) Brand, late great concert violinist, performed in Libau, Latvia before the war, then survived concentration camps and performed on German radio and in German DP camps after the war, then in Boston, MA, on radio and in concerts for decades after the war. Aug. 8, 2007 - in memory of Khazn Shimen Kandler, our dear late friend and frequent contributer to The Yiddish Voice for years during the mid to late 1990's, for his sixth yortsayt. Presented by Hasia Segal. 28 March 2007: Rev. Myer Loketch (Young Israel, Brookline), et al: Lekoved Shvues - Shvues (Shavuot) Program. Listen to the main segment -- Loketch: Lekoved Shvues -- via MP3 (~10 MB). 18 April 2007: Norman Berman, Linda Gritz, Ellie Kellman, and Ruby Poltorak talk about and preview their upcoming performance for the Workmen's Circle commemoration of the Warsaw Ghetto Uprising in music, poetry, and narration. Listen to the main segment (WC performers) via MP3 (~10 MB). 28 March 2007: Rev. Myer Loketch (Young Israel, Brookline), et al: Lekoved Pesach - Passover program. Listen to the show MP3 format (~26 MB). Rev. Myer Loketch of Young Israel in Brookline will discuss Passover, in Yiddish, as a special guest of Boston's weekly Yiddish-language radio show The Yiddish Voice, WUNR 1600 AM (Brookline/Boston), on Wednesday, March 28, 2007, 7:30 - 8:30 p.m. Info: (617) 730-8484, radio@yv.org, www.yiddishvoice.com. Listen to the show MP3 format (~25 MB). various organizations, projects, and publications devoted to Yiddish. cohosts Meyer Dovid and Hasia Segal will also participate. email radio@yv.org, or call 1-617-730-8484. 7 March 2007 and 14 March 2007: Michael Wex, author of Born to Kvetch, interviewed by Iosif Lakhman. 13 December 2006 and 20 December 2006: Rev. Myer Loketch of Young Israel in Brookline discusses Hanukkah, including selected aspects of its Halachos and Minhogim, and shares reminiscences of Hanukkah in his youth in Eastern Europe. illness similar to Parkinson's Disease. Loketch of Young Israel of Brookline, who will give a Dvar Torah. 23 August 2006: interview with Simcha Simchovitch, Toronto-based Yiddish writer, poet, essayist, journalist, librarian, and curator, discussing his life and work. 16 August 2006: Iosif Lakhman presents historical background on the Yiddish writers executed on orders from Stalin on August 12, 1952, with selected readings from their work. 9 August 2006: in memory of the Yiddish writers executed on orders from Stalin on August 12, 1952, the Toronto-based Yiddish writer Simcha Simchovitch reads an historic protest letter he wrote and that was printed in the French Yiddish press in 1949. 12 July 2006: Gil Kremer, a musician Israel originally from the former Soviet Union, is interviewed by phone by Iosif Lakhman, and we hear selections from his recently released CD. 21 June 2006: Zalmen Srebro Z"L, former Chairman of the Yiddish Culture Club of Boston, passed away on May 19, 2006. The Yiddish Voice presented a Shloyshim (Memorial) program for Zalmen Srebro z"l on the June 21, 2006, broadcast. [Audio/MP3:] Listen to the engineer's recording of the show (recorded from the "engineer's console"), in MP3 format (12 MB). 14 June 2006: Rabbi Y. Y. Jacobson, editor of the Algemeiner Journal, in an interview on various topics, including the 12th yortsayt of the Lubavitcher Rebbe, the subject of his upcoming invited speech at Young Israel of Brookline. 24 May 2006: Hasia Segal: a report from Kings Point: musings about the winter Yiddish-cultural scene in South Florida, including interviews with some of the locals. 4 May 2006: Rabbi Moshe Waldoks of Temple Beth Zion in Brookline, MA, who is this year's chairman for this year's Holocaust Remembrance Day, May 14, 2006, 2:00 p.m. at Faneuil Hall in Boston, talks about plans for the event and its importance for the community. 12 April 2006 and 19 April 2006: Rev. Myer Loketch of Young Israel Congregation in Brookline, MA, continues his talk on Pesach Halochos, Minhogim, and reminiscences of Pesach in the pre-WWII Poland of his childhood. Also, Hasia Segal sends her Pesach greetings, and shares reminiscences Pesach in the pre-WWII Lithuania of her youth. We also hear greetings and announcements for the Holiday from various sponsors and friends of Dos Yidishe Kol. And the musical background is Pesach music. 29 March 2006: Rev. Myer Loketch of Young Israel Congregation in Brookline, MA, discusses selected aspects of the Halachos of Pesach and Pesach Minhogim, and also shares reminiscences of Pesach in the pre-WWII Poland of his youth, in a series of special-guest segments for Passover 2006 on Dos Yidishe Kol. 8 March 2006: for Purim: discussion of and examples of Jewish humor by Hasia Segal, with jokes contributed by Sholom Beinfeld, Iosif Lakhman, and others. 11 January 2006: Yekhiel Shraybman Z"L: The Yiddish Voice mourns the passing of the Bessarabian Yiddish writer Yekhiel Shraybman (Ikhil Shraibman), who died on Dec. 9, 2005, in Kishinev (Chisinau, Moldova), at age 93. Shraybman was practically the last active member of the prewar generation of Soviet Yiddish writers still living in the former Soviet Union. Boris Sandler (Editor, Yiddish Forward). 24 November 2005 -- Yekhiel Shraybman, the renowned Yiddish writer from Keshenev, Moldova, reads two recently written short essays ("miniaturn"), and he and his wife Marina chat with Iosif Lakhman and Misha Khazin. 7 September 2005 -- Hurricane Katrina - interviews - with former New Orleans resident, and now refugee, Shep Zitler - and with assistance provider Rabbi Betzalel Marinovsky of Chabad of Houston. 3 August 2005 --Tsvi Menshel, head of the Survivors of Khust (Chust) and Vicinity (in Israel), interviewed by Mark David about Khust, his home town, the fate of its Jews, and efforts to help survivors and preserve memory. Khust is now part of Ukraine but has in past times been part of Austro-Hungary, Czechoslovakia, and, during WWII, Hungary. Jews had lived productively in Khust for hundreds of years. In the spring of 1944, the Jews of Khust were forced into ghettos, and soon thereafter forcibly placed on deportation trains bound for Auschwitz-Birkenau on May 24, May 26, June 2, and June 6 of 1944. Upon their arrival, most were killed by the German Nazis. The rest were taken as slave laborers and were beaten and starved. Very few of them survived. Leahke Post Z"L: Leah Carrey, known as Leahke Post in her role as cohost of Ben Gailing's (Boston Yiddish) radio show for many years, has died. 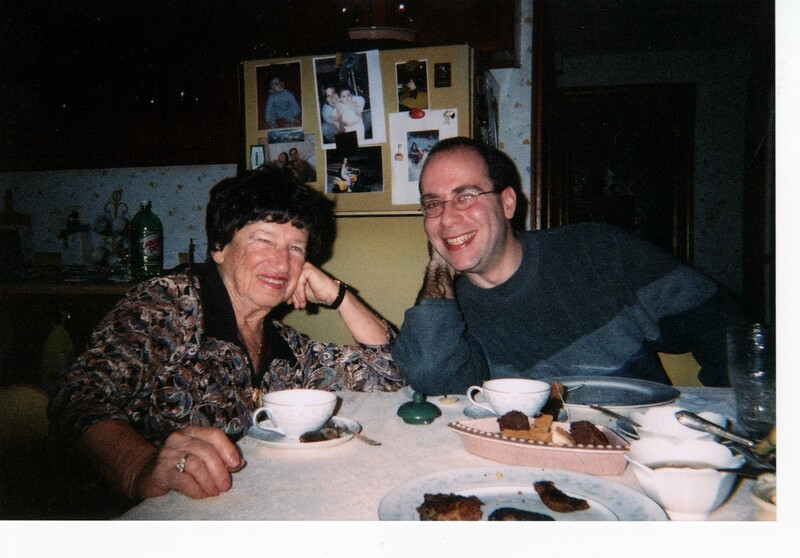 The Yiddish Voice had numerous personal ties to Leahke and her family, and we were fortunate to present her on the air through two interviews in the early 1990's. Our sympathies to Leahke's son Henry Carrey. On June 16, 2005, in NYC, formerly of Boston. Beloved wife of the late Abraham Carrey. Mother of Henry of NYC & the late David. Funeral Services in NY. Burial on Sunday, June 19, 11:15 a.m. Sharon Memorial Park, Sharon, MA. Shiva Sunday, Monday & Tuesday at the home of Gladys Heitin. Donations in her memory to Workmen's Circle Chorus of Boston, Nat'l. Yiddish Book Ctr., Amherst, MA 01002 Published in the Boston Globe on 6/17/2005. Photo: Leah Post Carrey, at about age 50, from her 1960's publicity photo. Apr. 13, 2005 Interview with singer/actress Genia Fajerman, from Israel, about her career and her upcoming concert tour of the US, which will bring her to Boston on April 24, 2005; and an interview with former Publisher's Weekly publisher Fred Ciporen regarding Shlemiel Crooks, the recently published children's book for Passover. Dec. 15, 2004 - Yuri Vedenyapin, interviewed by Hasia Segal and Iosif Lakhman. Nov. 17, 2004 - Shloyshim Memorial Program for Miriam Libenson Z"L, with the participation of Hasia Segal, Dovid Braun, Shimen Simons, and others who know her well. 17 November 2004: Yiddish Voice 11-17-04 Broadcast in Memory of Miriam Libenson: On our Wednesday, Nov. 17. 2004 broadcast, we honored the memory of Miriam Libenson with a special program. 17 October 2004: We've just received the sad news that our friend and long-time contributor to The Yiddish Voice Miriam Libenson has passed away. She was just over ninety years old. She lived her last years in Israel, which she always called "home". Miriam Libenson was our radio program's resident poet as well as our main commentator on religious and Jewish-holiday matters. Our collection of her recordings are one of the crowns of our show's archives and are played regularly to this day. They were filled with Jewish knowledge, highlighted by memories of her youth in her shtetl Aniksht (Lithuania), and usually accompanied by her own original Yiddish poetry -- she'd written poetry her whole life. She will be greatly missed by all our volunteers and listeners. Most significantly, she was a lifelong friend of our cohost Hasia Segal. Our deepest sympathy to her sons Michael and Eli, and all her family. Further information and details will posted soon. We will present a shloyshim memorial program on Wednesday, November 17, 2004 on The Yiddish Voice (WUNR 1600 AM) at 7:30 p.m.
29 Sept. 2004 - Aaron Lansky is our guest. He's just come out with a new book, Outwitting History: The Amazing Adventure of a Man Who Rescued a Million Yiddish Books. 8 Sept. 2004 - A gut yor! Lekoved Roshashone/yomkiper - Miriam Libenson's 1996 talk about Roshashone is featured. August 11 2004: Iosif Lakhman: 12 August 1952: In memory of the Murdered Yiddish Writers. Weds., 18 Aug. 2004 Cohost Iosif Lakhman interviews Vladimir Yedidovitch, founder of the Russian Forward. July 7, 2004: Raphael Goldwasser interviewed about his Yiddish cultural, especially theater, activities in Alsace (France). June 16, 2004: In memory of Rabbi David Neiman Z"L -- Cohost Hasia Segal offers words in memory of the well-known Rabbi and scholar who died in Feb., 2004, in Los Angeles. With a rebroadcast her 1991 interview with Rabbi Neiman. Sponsored by Temple Beth Zion, Brookline, Mass. February 18, 2004 Interview with Lilke Meisner, Yiddish writer, and the leader of the Yiddish Culture Club of Los Angeles. Nov. 5, 2003: shloyshim memorial program for Gershon Winer, who died Erev Yom Kippur in Israel. Participants: Dov Noy (Hebrew University), Sheva Zucker (Duke University), Seymour Kass (UMass Boston). Excerpt from an interview with Winer previously conducted by Hasia Segal for The Yiddish Voice. 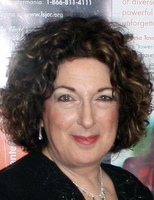 Presenter is Hasia Segal. / a shloyshim program in ondenk fun gershon vayner z"l, vos iz nifter gevorn erev yom kiper in yisroel. es bateylikn zikh: Dov Noy (Hebrew University), Sheva Zucker (Duke University), Shimen Kass (UMass Boston). Me hert oykh an oystsug fun an intervyu gemakht gevorn fun Hasia Segal far der program "dos yiddishe kol". September 3, 2003: Interview with Zachary Sholem Berger, publisher and translator of the new Yiddish 'The Cat in the Hat' (Di Kats Der Payats). July 30, 2003: Interview with Shmuel Bak. Bak began his artistic career as a "vunderkind" of the Vilna Ghetto, attracting the support and admiration of such cultural luminaries as Avrom Sutzkever, Shmerke Kaczerginski, and Herman Kruk. Since surviving those perilous years, he's become a world renowned painter who has had over 200 solo exhibitions throughout the world. 27 November 2002: interview with Theodore Bikel, legendary singer, actor, and social activist, whose autobiography has recently been reissued in paperback. 20 November 2002: Seymour Rexite z"l shloyshim memorial program, with guest interviews (with Henry Sapoznik, Caraid O'Brien, and others), and recordings in memory of the late, great Yiddish actor, singer, and radio personality. 13 November 2002: interview with Benjamin Harshav, Yale University, editor of The Last Days of the Jerusalem of Lithuania, the new translation of Herman Kruk's Vilner Ghetto diary. Also with readings from the English translation by the book's translator, Barbara Harshav. 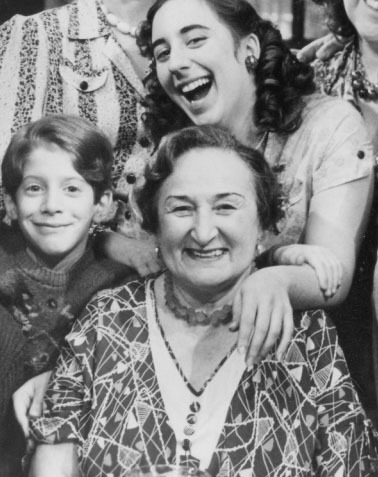 23 Oct. 2002: from the archives, a 1995 interview with Miriam Hoffman (Forverts writer, playright, theater director, educator), who talks about the contemporary Yiddish theater scene. 28 August 2002: Dovid Braun talks with Szulim Rozenberg of the Medem Bibliotek (Paris), discussing among other things the forthcoming (Oct. '02) publication his wife's memoir: Girl With Two Landscapes: The Wartime Diary of Lena Jedwab, 1941 to 1945, an English translation from the original Yiddish. 31 July 2002: The Yiddish Voice rebroadcast the May 1995 interview with Misha Alexandrovich for the shloyshim (30 days) since his passing. Alexandrovich was one of the greatest cantors of the 20th century. He died at age 87 on July 3, 2002, in Munich, Germany. 31 October 2001 Interview of Lillian Lux, by Hasia Segal, about the documentary about her family (The Bursteins) "The Komediant". 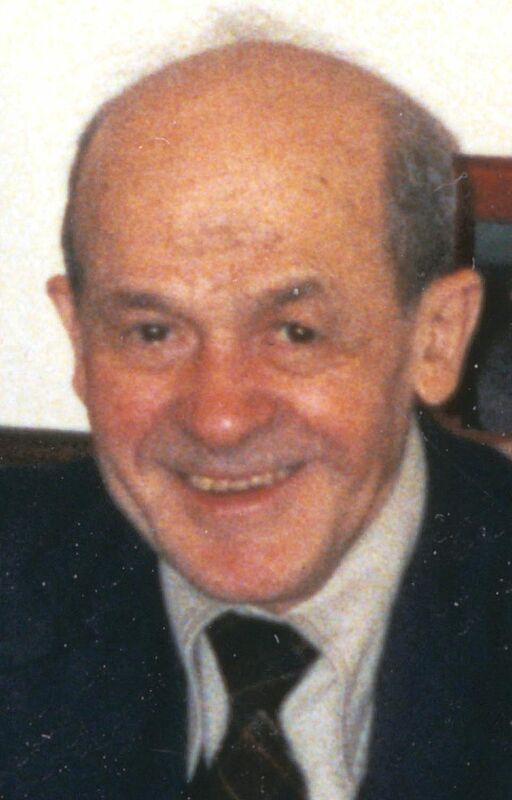 5 September 2001 In memory of Khazn Shimen Kandler (Cantor Simon Kandler) [family-prepared, detailed obituary], Cantor Emeritus of Temple Emeth in Chestnut Hill, MA, who passed away Tuesday, August 7, 2001, at the age of 100. 29 August 2001 Interviews from Yiddish Vokh 2001: Hy Wolf, Yiddish actor and activist, talks with Hasia Segal. Motl Rosenbush talks with Mark David about the Svives project of the Yugntruf organization. Featuring music from Josh Waletsky's new CD Ariber Di Shotns. 8 August 2001 Abraham Brumberg talks with Mark David about the new book Stalin's Secret Pogrom: The Postwar Inquisition of the Jewish Antifascist Committee (Yale University Press, 2001), edited by Joshua Rubinstein. Also presenting the poetry of Soviet writers. 27 June 2001 Interview with Nobel Prize winner and Holocaust survivor Elie Wiesel, who discusses the Holocaust Survivors Memoirs Project of the World Jewish Congress. Random House has pledged $1 million to the Holocaust Survivors' Memoirs Project set up by the World Jewish Congress to find and publish the written accounts of those who suffered under the Nazis during World War II. Elie Wiesel, the author of ''Night,'' a memoir of Auschwitz, among many other works, will serve as honorary chairman of the project. 6 June 2001 Interview with Abraham Brumberg and selections from his latest CD recording of Yiddish poetry and english translations. More Rundowns - Click Here. 12 Iyar 5756 / 1 May 1996 sholem aleykhem leyent for! tsum 80tn yortsayt funem grestn yidishn shrayber fun ale yidishe shraybers presentirn mir dem zeltenem rekordirtn klang funem mekhaber aleyn, forleyendik fun zayn mayses "ven ikh bin rotshild" un "a freylekher yontev", fun a disk vos er hot rekordirt in nyu york shpet in lebn, vos ligt in di arkhivn fun YIVO. oykh musik un mayses geshribn fun im oder basirt af zayn verk / In honor of the 80th year since the passing of the greatest of all Yiddish writers, we present the rare recorded sound of the author himself, reading from his stories "If I Were Rothschild [a rich man]" and "A Happy Holiday", from a record he recorded late in his life, which is now part of the YIVO Sound Archive. Also, we present music and stories written by him or based on his work. Sholom Aleichem reads out loud! Click on the above link to hear the voice of Sholom Aleichem reading. You can also hear an introduction by Henry Sapoznik, founder and former head of the YIVO Sound Archive, from his May, 1991, Forward Hour (Forverts Sho) radio broadcast. Sept. 1, 2007: Yiddish Voice Receives CJP Grant. : The Yiddish Voice radio show is pleased to announce that it has been awarded a grant of US$2,500.00 from the Brookline-Brighton Jewish Community Fund of Combined Jewish Philanthropies for the coming year (2007-2008). The Yiddish Voice hopes to use the grant to make current programming as well as portions of its archive more widely available. July 23, 2005: Yiddish Voice Receives CJP Grant. : The Yiddish Voice radio show is pleased to announce that it has been awarded a grant of US$1,000.00 from the Brookline-Brighton Jewish Community Fund of Combined Jewish Philanthropies for the coming year (2005-2006). As one of just 14 organizations, selected from an applicant pool of 34 organizations, to receive a portion of funds totalling US$40,650.00, the Yiddish Voice will use the grant to help operate, expand, improve Boston's award-winning Yiddish-language radio show, its associated web site yiddishvoice.com, and related activities and projects. Internationale Medienhilfe (IMH): Radio Show of the Year 1998 (Radioprogramm des Jahres: The Yiddish Voice) awarded to The Yiddish Voice in 1999. Naamat (Di Froyen Pioneren/Pioneer Women) Boston Chapter: Person of the Year (2000) awarded to Mark David as Host/Producer of The Yiddish Voice. Kan Yiddish on the radio in Israel on 104.9 and 105.3 FM (Kan Tarbut) every Friday at 2 p.m.; on 100.3, 100.5 and 101.3 FM (Kan REKA) every Friday at 3 p.m. as well as at midnight from Saturday to Sunday. This an hour-long weekly radio show heard on the national Tarbut and Reka radio networks of Israel. It's about half in Hebrew, about Yiddish language and culture, and half in Yiddish on various themes. The show is sponsored by the National Authority for Yiddish Culture. Broadcasts began in July 2017. (The new show effectively replaces the previous daily all-Yiddish broadcast that ran for many years on the national Reka network of Israel, which was canceled when Israel Broadcast Authority (IBA) was shut down, and a new Israeli national broadcasting authority came to be, named Kan.
Yiddish Pour Tous, and Yiddish Pour Tous - Special Broadcasting Timetable for American Listeners: Internet live-streaming radio station with most programs either bilingual Yiddish/French or Yiddish/English, or Yiddish made accessible in either French or English, or Yiddish language and culture topics discussed in those languages. Click here: Kadimah Yiddish Show for all listening modes, including access to past show archives. RadioShalom's Yiddish Program, in Copenhagen, Denmark, is broadcast on the FM band, at 87.6 MHz, on the third Wednesday of each month at 18:30 (local time). Some shows are archived on their web site: go to radioshalom.dk, then click on link "Yiddish" in the list labeled "Kategorier" along the left side of the page. Winnipeg Jewish Radio Hour: Jewish radio programming in Winnipeg every Sunday on radio station CKJS, 810AM, from 1:30 to 2:30 PM Central time. It can be heard online at www.ckjs.com. The first half hour is in English. The second half, from 2:00 to 2:30, is in Yiddish, hosted by Rochelle Zucker. There's also complete archive of all shows available for download: Click here for the Winnipeg Jewish Radio Hour archive. HaMakor & Anthology of Jewish Music, CFRO-FM 102.7 (Vancouver Cooperative Radio), Vancouver, B.C. CANADA, Sundays, 10-11 AM, "highlights the Ashkenazi and Sephardic cultures, including Yiddish and Hebrew selections". hosted by Alan Tapper and Ethan Minovitz. Judaiques FM sur 94.8 - in France, a full-time Jewish radio show, primarily in the French language, but also featuring some Yiddish programming, including this: De 22h20 a 23h00: "UNZER MAGAZINE", le magazine Yiddish de Judaiques fm prisentie par Arielle Sion en alternance avec "Mayses un melodihs" prisentie igalement par Arielle Sion. The broadcasts can be heard live over the internet from the station's web site at http://www.judaiquesfm.com. 3ZZZ (92.3 FM) - in Melbourne Australia, the country's largest ethnic community station, broadcasts in Yiddish every Sunday from 11.00am to 11.30am. The broadcasts are archived and can be heard over the internet from the station's web site at http://www.3zzz.com.au. From there select "Jewish [SUN 11-12noon]" under the "LISTEN TO A SHOW" menu. Yiddish news of the week from 3ZZZ can be heard at the website of The Australian Jewish News (www.ajn.com.au). Chagigah, Sundays, 8-11 AM, WERS 88.9 FM/Boston: a Jewish radio show heard every Sunday in Boston, features "Jewish", in practice mostly Yiddish, music during it's first hour, from 8:00 a.m. to 9:00 a.m. The second two hours, from 9:00 to 11:00 a.m., are mostly filled with Israeli pop music and announcements in Hebrew and English. On WERS 88.9 FM, Boston, MA, from the campus of Emerson College. A correspondent in nearby New Haven, Connecticut, writes, "for 50 years the Greater New Haven area has been blessed to be able to listen to and enjoy Beryl Howard's American Jewish Variety Hour. It is broadcast every Sunday morning, 10 a.m. to 11 a.m., on WADS-690 on the AM dial. I write as a listener, not as part of the show." Update from our correspondent (6/19/01): after some 54 years his show is off the air because the small AM station WADS, Radio Amor, that he was on is in financial difficulty. Update from our correspondent (6/19/06): It is with great sadness that I report to you that Beryl Howard passed away early this year. Unfortunately I have no other details as to exact date etc. Sunday Morning Klezmer & Other Jewish Music, an exploration of Jewish Music, Art & Culture is hosted by Jacob Freedman, and plays Israeli, Jewish, Klezmer and Yiddish Music, and includes interviews with various Jewish Performers and Public Figures. The show airs every Sunday, from 6:00 a.m. to 10:00 a.m., on WBZC 88.9 FM Pemberton, NJ. And may be heard in parts of the following New Jersey Counties; Atlantic, Burlington, Camden, Cumberland, Gloucester, Mercer, Ocean, and Salem; as well as, some parts of Eastern Pennsylvania; including Philadelphia. Calling All Yiddish Radio Shows! Send radio@yv.org your broadcast information. We'll post it here. Lekoved Pesyakh: Elements of the Yiddish Peysakh Hagode, including Di Fir Kashes (The Four Questions in Yiddish). Dovid Katz's Yiddish Cultural Dictionary, an English-Yiddish lexicon being continuous built and improved online, edited and curated by internationally renowned Yiddish expert Dovid Katz. National Authority for Yiddish Culture, organization officially supported and funded by the Government of Israel to support and nurture Yiddish language and culture,according to a law that was passed in the 1990's. The Official Sholem Aleichem Website, launched to mark the 100th yortsayt of the most famous of Yiddish writers Sholem Aleichem, led by Columbia Univ. Prof. Jeremy Dauber, a collaboration among many institutions, aims to be THE comprehensive website dedicated to Sholem Aleichem. In Geveb, a journal of Yiddish studies: In geveb is an open-access digital forum for the publication of peer-reviewed academic articles, the translation and annotation of Yiddish texts, the presentation of digitized archival documents, the exchange of pedagogical materials, and a blog of Yiddish cultural life. YidLife Crisis, a new 'webisode' series, in Yiddish (with English subtitles), that is by, from, and about Montreal Jews. Isaac Bleaman's Der Leyenzal (Yiddish for "the reading room") features streaming video lectures about Yiddish literature. Hebrew University's Index to Yiddish Periodicals, a huge searchable bibliography of Yiddish periodicals across the world and over many decades, with both an English and Yiddish web interface. About 25% of the materials are available online, while the remainder are only accessible on site at one or more libraries (e.g., at Hebrew U. in Jerusalem, or others). YiddishFarKinder.com [warning: uses Flash], Yiddish for Children, educational material for children to learn Yiddish, by Yiddish teacher Judith Nysenholc (Yudis Nisnholts). Yiddish Pop [warning: uses Flash], educational material, primarily geared towards children and young adults, in a lively, interactive, audio-visual format. Based on BrainPOP ESL, the work and creation of the late Naomi Prawer Kadar, Ph.D. (1949-2010) and her team. Steven Lasky's Museum of Family History (a virtual museum) is very extensive and has a Yiddish component. Notable subsites include Zylbercweig's 'Yiddish Radio Hour' Archive and Zylbercweig's 'Lexicon of the Yiddish Theatre' English translation. Yiddish Paris, web log of Paris's Medem Library Yiddish Center. Yiddish Dictionary/Yidish Verterbukh, home page of a Yiddish-English version of the Dictionnaire Yiddish-Francais, published by the Bibliotheque Medem in Paris, widely regarded as the most complete Yiddish dictionary currently available. Batya Fonda's Jewish Folk Songs (jewishfolksongs.com), Jewish Songs of the Diaspora, with her lectures, in Hebrew and English, about folklsongs primarily in Yiddish and Ladino, supplemented with audio-video and reference material. Haynt - the historic Yiddish newspaper from prewar Warsaw, Poland - is now online! Der Yidisher Moment: Yidishe Internet-Tsaytung, an Internet-only Yiddish newspaper, which claims to be the only one of its kind in the world, with writers and editors located in various parts of the world, started in January 2011, and featuring news, opinion, and literary texts, as well as audio-video materials. A mysterious Swedish web site with a Yiddish Picture Dictionary (URL: http://lexin.nada.kth.se/lang/jiddisch) sure seems useful for learning Yiddish words, despite having some glaring mistakes (e.g., translating leg as "beyn"). -- there's no information in English or Yiddish about what this is or who did it or why it's "here" (apparently on a web site of a Swedish organization that builds lexicons). Johanna Kovitz's YiddishWit.com, a collection of Yiddish folk sayings, presented in Yiddish (Hebrew) letters, transliteration, and English translation, along with entertaining illustrations and additional helpful explanatory text in English. Yiddish Song of the Week, presented by the the An-sky Jewish Folklore Research Project, edited by Itzik Gottesman, featuring Yiddish songs, their translation into English, and commentary by an expert, and emphasizing field recordings of traditional Yiddish folk singers from around the world. Di Yidishe Velt - Khareydish-oriented Yiddish-language website with news, blogs, and forums. Archive of the Yiddish literary journal Kheshbn, which was published by the LA Yiddish Culture Club from 1946 to 2008. Naye Khvalyes, archive of the Yiddish radio show on Polskie-Radio in Poland. Can be heard live on the Internet via live stream (Sundays, 1900-1930 GMT). See also: Yidish Lebt, an other "Naye Khvalyes" website, and the Naye Khvalyes on Facebook page. Naye Khvalyes Podcasts available, too! Steven Spielberg Digital Yiddish Library - online with more than 10,000 titles from the digitized Yiddish book collection of the Yiddish Book Center, through the Internet Archive (archive.org). Yiddishland - a Google Groups Yiddish-language discussion group, primarily comprising posts by and for typically young and hip Yiddish speakers in the New York City area. Leyzer Birko, evidently the moderator, seems to be keeping the discussion lively and relevant. Sholem Aleichem Cultural Center presents a monthly lecture in Yiddish followed by an artistic program in Yiddish. Index to Yiddish Periodicals, by the Yiddish Department of the Hebrew Univerity of Jerusalem, in cooperation with the Jewish National and University Library, comprises approximately 170,000 bibliographic records about the Eastern European Yiddish Press from 1862 to 1948. Lebns Fragn, website of the publication of the Arbeter-Ring in Israel, with a Jewish Labor Bund perspective on politics, society, and culture. The Yiddish Wikipedia, YI.Wikipedia.Org, has thousands of articles in Yiddish! Yung Yidish, founded by Mendy Cahan, home page of Israel's young, energetic, and growing Yiddish cultural organization. Project EYDES, digitizing, archiving, and making available (esp. via the Internet) the more than 6,000 hours of recordings of Yiddish speakers collected through Language and Culture Atlas of Ashkenazic Jewry (LCAAJ) project, starting in the 1950's, under the direction of the late eminent scholar and linguist Uriel Weinreich. Haynt, a book in Yiddish by Chaim Finklestein (Khayim Finkelshteyn), the last editor of the prewar Warsaw Yiddish daily of the same name, is now presented online on a site produced by Bob Becker, who's seeking volunteers to translate the book into English. Zukht Zhe! You can now do a Google search in Yiddish! Tapuz Forum for Yiddish - from Israel, in Yiddish with some Hebrew, a Yiddish supersite, featuring numerous links, exhibits, and a lively bulletin board/forum. In Yiddish and Hebrew, with Hebrew letters, Windows Hebrew character set. Save The Music, an organization established to collect and preserve Jewish music recordings, digitize them, and make them available on the Internet. The Judaica Sound Archives at Florida Atlantic University Libraries (JSA) is actively collecting Judaica phonograph recordings. Located in Boca Raton, its mission is to preserve and digitize Judaica music and voice recordings, especially from the 20th century, and to promote awareness and appreciation of this cultural legacy. Their collection includes many vintage 78-RPM recordings showcasing Yiddish culture, including Klezmer instrumentals, Yiddish music and comedy of various sorts, and Cantorial performances in Ashkenazic Nusach. Rafael Goldwaser's Lufteater ("Theater of the Air", "Le Theatre en L'Air") performs Yiddish theater works in Strasberg, France. Yiddishkayt LA is a cultural organization that promotes Yiddish language and culture in Southern California. The Jewish Language Research Website is devoted to academic research on the many Jewish Languages, past and present. Sarah Bunin Benor (Moderator) and Tsuguya Sasaki (Webmaster/Listmaster) run the site and the Jewish-Languages Mailing List, for academic discussion of Jewish languages, including Hebrew, Jewish Aramaic, Jewish English, Jewish Malayalam, Judeo-Arabic, Judeo-French, Judeo-Greek, Judeo-Iranian, Judeo-Italian (Italkian), Judeo-Persian, Judeo-Portuguese (Shuadit) / Judeo-Provencal, Judeo-Spanish (Judezmo / Ladino), and Yiddish. YIVO's Uriel Weinreich Program in Yiddish Language, Literature and Culture, the world's first intensive summer program in Yiddish. Helen Winkler's Yiddish Dance Page has news, info, and links galore related to Eastern European/Ashkenazik dance. Sholem Berger's yiddishcat.com is the "land of the Yiddish Cat", featuring news, reviews, and previews of his publishing enterprise, Esrim ve Arba (Twenty-Fourth Street) Books, LLC, whose first work, Di Kats Der Payats, a translation of Dr. Seuss's The Cat in the Hat in Yiddish, has recently (summer, 2003) been released. The Rock Theater web site (mostly in German, some Yiddish) in Dresden, Germany, gives information about this theater collective's performances of Yiddish music and theater and about some Yiddish songbooks and CDs they've published. KlezCalifornia - "a celebration of klezmer music, dance, Yiddish, Jewish culture, and visual arts"
Yiddish Weblog (is it the first? ): Katle Kanye's a khosid with a weblog to share his "struggle, doubts, successes, and failures". With Hebrew letters, Windows Hebrew character set. Boris Slobodyansky is among a group of pensioners that put out a Yiddish broadcast, Dos Yiddishe Wort, or the Yiddish Word, on the airwaves of a Ukrainian state company. ``We have the only Yiddish radio in the world," he says, unaware of several Yiddish radio shows in other countries. Yiddish Music recordings have a home at The Yiddish Music Hall. Poland's Yiddish biweekly, bilingual (Yiddish/Polish) news paper Dos Yidishe Vort's web site has much information in Yiddish about the newspaper, past-issue cover page images, tables of contents, reprints of some articles. Extensive Polish pages are also available. The Dr. Izraelis Lempertas and the Jewish Community of Lithuania present Vilnius - Jerusalem of Lithuania, about Vilna (now Vilnius), the pre-WWII center of Yiddish culture. (This is part of a larger Jews in Lithuania site, in English and Lithuanian. YIVO Institute's Interactive Alef-Beyz -- shows you, and can sound out, the Yiddish alphabet and the widely used YIVO transliteration system. Jewish-languages.org, a Jewish Language Research Website, has a Yiddish Language section giving info about the language and some of its scholars, with a scholarly bent. The California Institute for Yiddish Language and Culture (CIYCLE) produces the annual Winter Yiddish Intensive Program at UCLA. The Folksbiene Yiddish Theatre is the oldest and really the only standing professional Yiddish theatre in the United States. Their web site gives ticket and performance information as well as information about the artists, plays, and history that make up this important institution. The German-language site Virtual Klezmer features information about Klezmer/Yiddish music all over, but especially the German scene, providing news, links, downloads, discussion groups, etc. Di Yunge Gvardie (The Young Guard) is a new online journal, in Yiddish, produced by students from the King David School in Victoria, Australia. With Hebrew letters, Windows Hebrew character set. Yiddishpiel, the Yiddish Theater of Israel. Interested in learning Yiddish in Vilna? Check out the Vilnius Program in Yiddish this summer! The European Union and Association for the Promotion of Yiddish Language and Culture (Duesseldorf) present a Yiddish Language Course featuring authentic Yiddish dialect recordings from the Language and Culture Atlas of Ashkenazik Jewry. The highly interactive multimedia site features instructional materials in German, Yiddish text in Alef-Beyz (Hebrew script), and vistors are encouraged to ask questions in English, Yiddish, or German. Site created by Dr. Ulrike Kiefer and Robert Neumann. The Tamiment Library at New York University has a Guide to Yiddish-Speaking Labor and Radical Movements. International Institute of Social History (IISH) in Amsterdam has a Guide to the Yiddish Collection of the Institute, including a searchable Catalog of the Jewish Labor Bund Archives. The Friends of the Secular Yiddish Schools in America Collection (FSYSA) supports oral history and artifact collection and preservation. The collection was established at Stanford University (California) in 1994 by Gella Schweid Fishman. The Friends <FriendsofSYSA@aol.com> publish a newsletter, organize volunteers, and raise funds to support the collection. The Dora Teitelboim Center for Yiddish Culture presents Yiddishculture.org, with great Yiddish cultural content, notably information about center's publishing and related activities, and its namesake, the late Yiddish poet Dora Teitelboim. New! (Oct. '05) The Yehoyesh Project: Tanakh - The Bible in Yiddish - has been completed! Steven Weiss's Necrology of European Yiddish Theatre Actors who were victims of the Holocaust, translated/adapted/edited from by Zalmen Zylbercweig's Leksikon fun Yidishen Teater: Kedoshim Band (Volume 5) -- UPDATE: Related: Steven Lasky's Lexicon of the Yiddish Theatre, his nearly complete, and steadily growing, collection of translations of the biographies in aforementioned Leksikon. R. A. Friedman's Yiddish American Digital Archive, featuring streaming realaudio clips of Yiddish recordings from various sources, including an exclusive special collection of his grandfather Henry Berman's radio airchecks restored from "acetate, glass, and shellac disks". YIVO Institute, the great scholarly institute which specializes in the study of Eastern European Jewry and carries out much of its publishing in the Yiddish language. US Census 2000 Language Assistance Guides for Yiddish and other languages are available. Here you'll find the Yiddish Short Form and the Yiddish Long Form. All of these files are in the Portable Document Format (PDF). In order to view these files, you will need the Adobe. Acrobat. Reader which is available for free from the Adobe web site. Steven Weiss of Chicago has curated a web site to display his grandfather's extraordinary collection of antique Yiddish postcards. S. L. Shneiderman and Eileen Shneiderman Collection of Yiddish Books, a web site/exhibition showcasing the lives and work of the late great writer and journalist S. L. Shneiderman and his wife Eileen, and the writer's book collection that is now part of the University of Maryland Library. Visit Kol Avrohom's site to hear Daf HaYomi in Yiddish by HaRav Avrohom Karp zts"l, featuring Real Audio of daf-yomi in Yiddish. Visit The Daily Sicho (http://www.sichos.com/), featuring Real Audio of the daily Yiddish sichos of the Lubavitscher Rebbe, Menachem Mendel Schneerson zts"l.
The huge HaGalil Online web site (mostly in German) has a JIDDISCH - YIDDISH - JIDISH - YIDISH page with lots of resources, information, and links. Late-bloomer artist and ardent Yiddishist Nachman Libeskind's 90th Birthday Exhibition, an online exhibition of his paintings. Bob Becker's Home Page is dedicated to his grandmother Rose Leis (1887 - 1980) and her Life Story, in the form of scanned pages of the Yiddish text of her unpublished autobiography. Shura Vaisman and others have created a website in honor of the 90th anniversary of the 1908 Czernowitz Conference on the Yiddish Language, with many interesting articles about the conference, documents from the conference, and many images of historical persons, places, and things. Ariga's Glossary of Yiddish Expressions. Travlang.com has the beginnings of what could be a useful Yiddish Far Rayznde (Yiddish for travellers) multimedia dictionary. Not quite a Yiddish dictionary, but Michael D. Fein's got a pretty good glossary, or what he calls a List of Yiddish Words and Expressions. Living Traditions, sponsors of the annual KlezKamp Yiddish Folk Arts Festival, and co-producers of the Yiddish Radio Project. From the UK, it's Klezmer On-Line. University of Pennsylvania's Yiddish at PENN web site! Visit an online exhibit about the Yiddish Theater in London, presented by the Jewish Museum of London. This exhibit is based on the exhibit "The Yiddish Theatre in London", which the museum originally presented 25 June - 10 November 1996. The tag line invites visitors to "rediscover one of London's most remarkable and least known theatrical traditions from 1880 until recent times!" The Dallas Virtual Jewish Community presents Years Have Sped By: My Life Story, memoirs and poetry by the late Yiddish poet, and Dallas resident, Chaya Rochel Klejman Andres. Presented in the Yiddish original, and with an English translation by Yudel Cohen. The Yiddish Book Center, founded by MacArthur Fellow Aaron Lansky and headquartered in Amherst, Massachusetts, has collected over 1.4 million Yiddish books. Publisher of Der Pakntreger (The Book Peddler), a fine magazine about Yiddish language, culture, and literature. "The family of SHOLOM ALEICHEM, in conjunction with The Sholom Aleichem Memorial Foundation, has created a web site dedicated to his life and work", said the e-mail announcement we received today (March 11, 1998) from Robert V. Waife <robert@sholom-aleichem.org>. Jack (Yankl) Halpern's Yiddish Page web site features the home pages of the Japan Yiddish Club. Tsuguya Sasaki's World of Hebrew and Jewish Languages contains both interesting and scholarly content, from a surprising source, about Jewish languages, including Yiddish. There's a Yiddish web site in Holland run by the "Singing Group Striid" (also available in Dutch). The Dora Wasserman Yiddish Theatre of the Saidye Bronfman Centre for the Arts in Montreal, Canada, has a web site, with some history, photographs, and information, including information about upcoming performances. The private collection of Bob Freedman and his wife Molly has become the Robert and Molly Freedman Archive of Jewish Music at the University of Pennsylvania Library, with a Yiddish Song Database search interface. Workmen's Circle/Arbeter Ring, dedicated to Jewish, especially Yiddish, culture and education, friendship, mutual aid and the pursuit of social and economic justice. Film Producer David Notowitz's film Carpati: 50 Miles, 50 Years, narrated by Leonard Nemoy, directed by Yale Strom, lets Zev Godinger tell his story in Yiddish (with English subtitles). Raphael Finkel's Yidishe Shraybmashinke (Yiddish Typewriter) lets you compose a page of Yiddish text from your web browser. Also converts between a growing list of Yiddish computer file formats. ... And now (2008) there's also the Yidishe Shrayberke, a web-based Yiddish input method editor (IME). Yiddish Text on computers, and even on the Web: The UYIP Home Page has information about, and resources to facilitate, Understanding Yiddish Information Processing (UYIP), an Internet mailing list. Home page for Yugntruf, a worldwide organization of Yiddish-speaking and Yiddish-learning young adults. Paris's Online Yiddish Newspaper for Yiddish learners Der Yidisher Tamtam has been published since 1995, and has been online (downloadable) since 1997 -- the World's first online Yiddish newspaper. Ari Davidow's Klezmer Shack, with reviews, news, a much more, all about the world of Klezmer music. Ari Davidow's Virtual Ashkenaz, a discussion forum about new Yiddish culture. Congress for Jewish Culture, 25 East 21st Street, Ground Floor, New York, NY 10010 USA; Tel (212) 505-8040; Publisher of The Future (Di Tsukunft) and Yiddish reference and history books, conducts a full year of programming in Yiddish. Lebns Fragn, 48 Kalisher Street, Tel Aviv, Israel 65165; Tel. 03-5176764; Socialist Monthly / "sotsialistishe khoydesh-shrift far politik, virtshaft, un kultur"
Advertise on The Yiddish Voice. Call (617) 730-8484, or send email to radio@yv.org for information. Please be so kind as to patronize our sponsors, and let them know you appreciate their support of The Yiddish Voice! Please send us feedback @ radio@yv.org. Copyright (c) 1995-2014 The Yiddish Voice <radio@yv.org>. All Rights Reserved.